The ruined 250-year-old Gorkhali fortress of Upardang Gadi is located on the northern rim of Chitwan Valley. 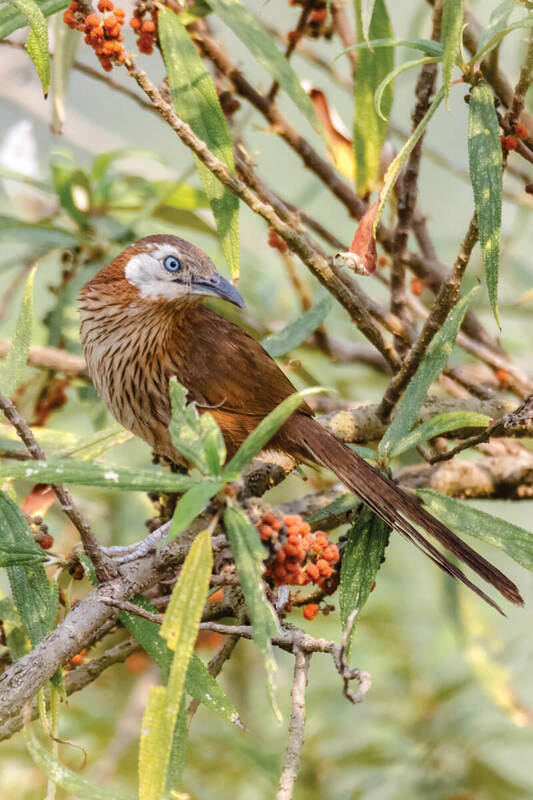 But that is not the only reason these forested mountains are special: this is also home to the Spiny Babbler, the rare bird found only in Nepal (pictured below). 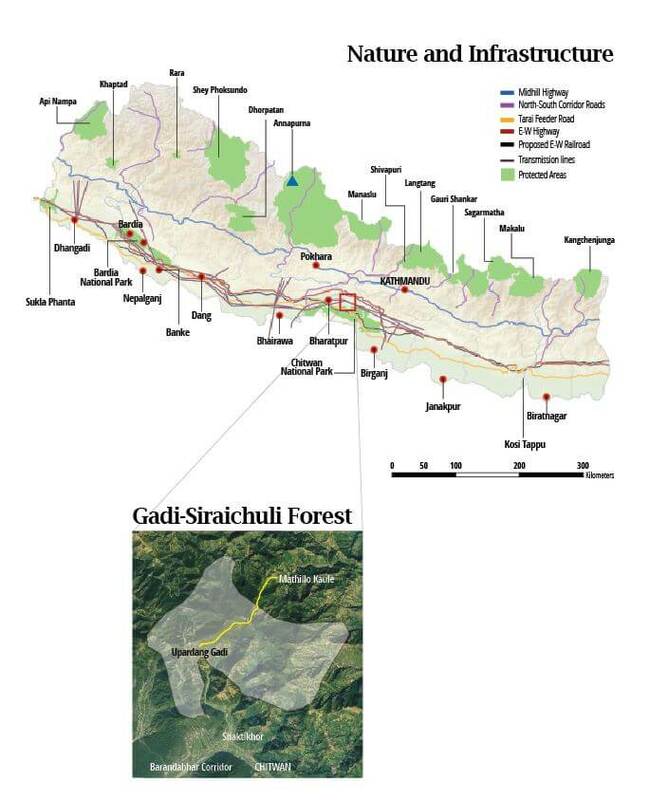 Bird Life International and Bird Conservation Nepal have concluded that the Gadi-Siraichuli Forest is an Important Bird and Biodiversity Area (IBA) of international value. There are only 37 other IBAs in Nepal, and this is one of the few not located within a protected area. But now the forest is threatened by the construction of a new road that will be a short cut from Mathillo Kaule to Gadi (map). The alignment is along the steep forested slope, and locals are worried that it will destroy trees, disrupt water sources and threaten landslides. They have been protesting at Ichyakamana Rural Municipality to stop the road being built on this route. Located at 1,150m, the Chepang village of Gadi lies at the foot of this forested slope that features a wide variety of shrubs, subtropical mixed broadleaf trees and wildlife. In fact, this is the largest and richest forest of this type remaining in Nepal, with 15 species of mammals, including the endangered Black Giant Squirrel (Ratufa bicolor). The Spiny Babbler (Turdoides nipalensis) lives on terraces built by the Chepang people at the edge of the forest. The Gadi-Siraichuli Forest has one of the highest populations of this rare endemic bird in the country. “The road will destroy the forest on the slope that is the main source of spring water for our villages. How can we live here without water?” asks Ganesh Thapa Magar, a farmer. Besides these threats, the road will also put the 320 bird and 56 butterfly species found here at risk. Members of the Sauraha-based Bird Education Society have been visiting the area since the 1990s, and say it is a treasure trove for nature. Bird species also include the Red-faced Liocichla (Liocichla phoenicea) a beautiful scarlet and brown bird that was thought to have become extinct in Nepal until it was re-sighted in 2016 after 178 years, by watchers from the Bird Education Society and the Nepalese Ornithological Union. Eight of these birds were found at 1,600m on Chisapanitar, close to the planned route of the road. The Red-faced Liocichla has not been found elsewhere in the country, and is listed as critically endangered in the national red list of the birds of Nepal. Twenty other threatened bird species have been sighted regularly in the forest, including the Little Spiderhunter (Arachnothera longirostra) which is dependent on wild bananas, and the Red-headed Trogon (Harpactesery throcepalus) a beautiful red bird that needs a habitat of trees with a thick growth of climbers and creepers. Until recently, the indigenous Chepang people followed a nomadic lifestyle, living off the rich forests as hunter gatherers. As other ethnic groups migrated here, the Chepang started to take up a more settled life based on subsistence agriculture. 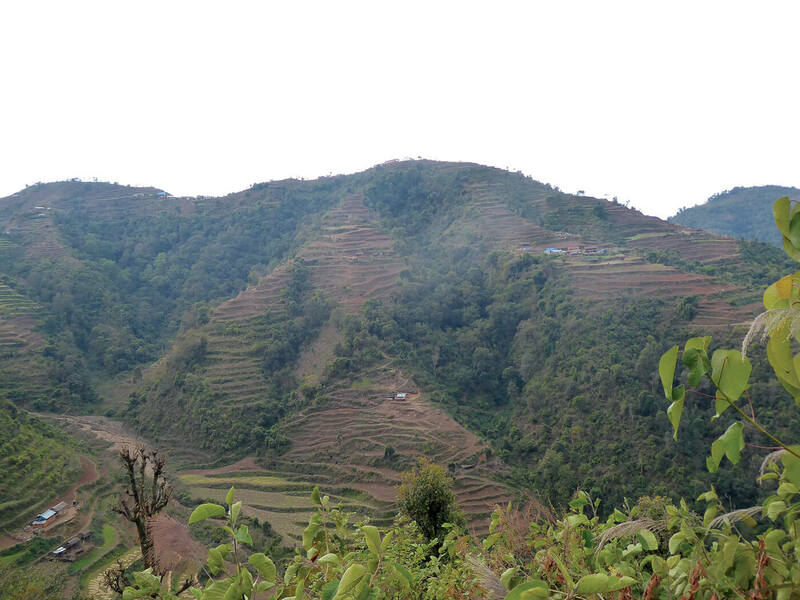 But their terraces on the steep slopes do not produce enough food, and the Chepang still depend on wild food from the forest. The new road will run through the prime forest area for wildlife and destroy their homes, as well as disturb the terrace farms. There is an alternative route for the road from Mathillo Kaule to Gadi via Mayatar. It is a bit longer but would protect the forest and the village water supply. The subtropical broadleaf forests of the Gadhi-Siraichuli IBA are of high quality and are now a rare and declining habitat in Nepal. 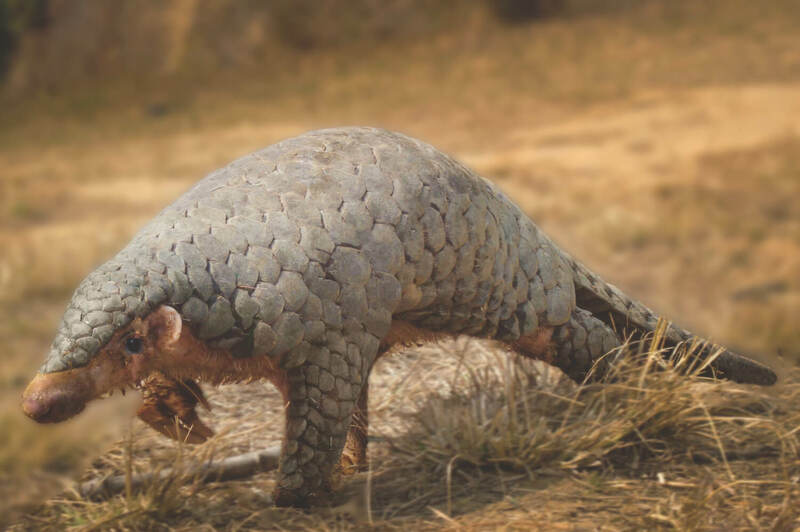 They support great biodiversity and are an invaluable resource to local Chepang communities. The forest lies at the northern end of the Barandabhar Corridor that links Chitwan National Park to the Mahabharat forests, and is important for the north-south movement of animals in the Chitwan-Annapurna Linkage (CHAL) and Terai Arc Landscape (TAL). Carol Inskipp is a UK conservationist who has been coming to Nepal since 1977. Rupendra Karmacharya runs a lodge in Gadi village and works to preserve the local culture and biodiversity of the area.